Thread count: 200 - fabric for inkjet printers. The warm white fabric makes photo-complexions glow. 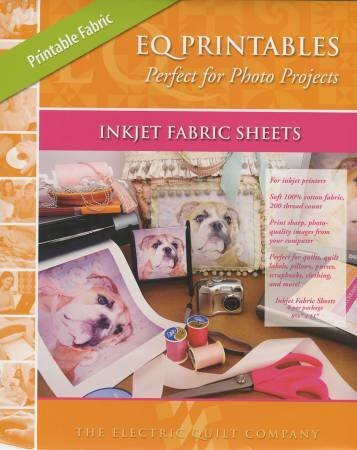 Perfect for memory quilts, fabric scrapbooks and quilt labels. Print sharp, photo-quality images from your computer onto these soft (never rubbery!) fabric sheets. You become a fabric designer as you scan in photos, flowers, love letters, or whatever. Then print, let dry, peel off the plastic backing and soak in cool water for 10 minutes. When the fabric dries, sew!